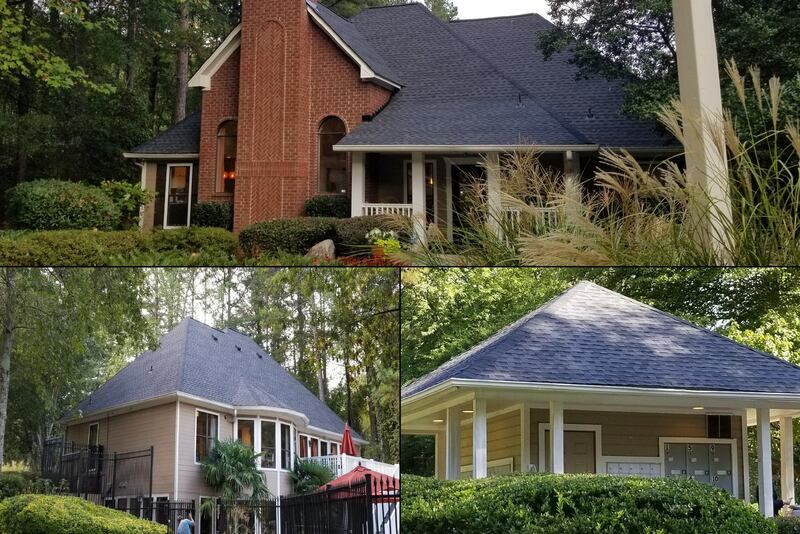 Every home is different, which is why we worked closely with these Acworth, GA home owners to determine the best roofing system for their home. These GAF architectural shingles in charcoal provided unparalleled protection with a sleek and finished look the home owners loved. 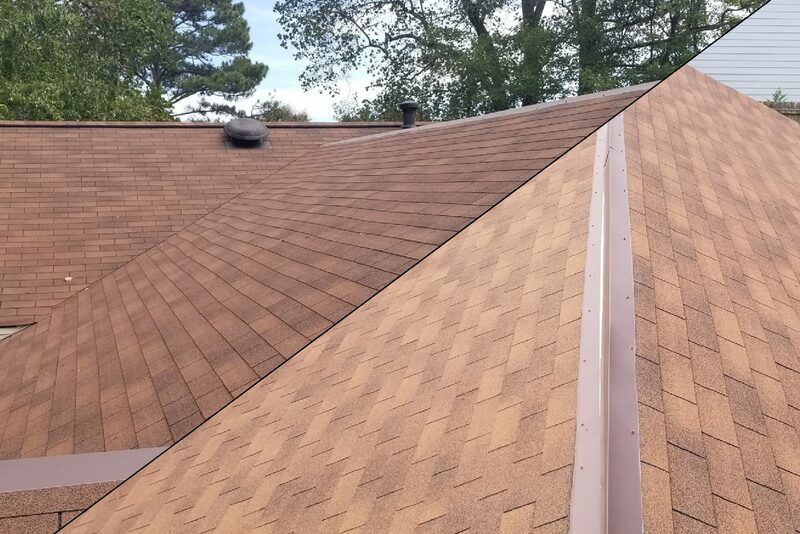 A new roof can breathe new life into your home, which is exactly what the owners of this Acworth, GA brick ranch were looking for. These GAF Timberline HD shingles in charcoal give this home a whole new look. 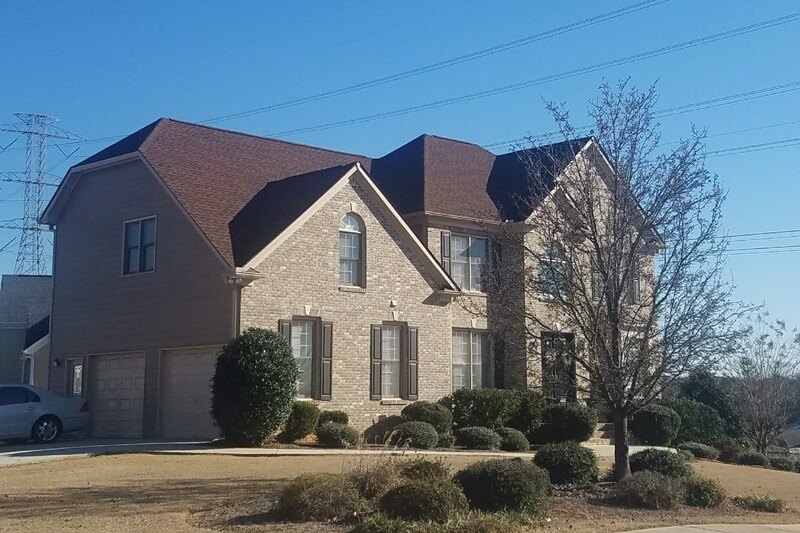 We replaced this Acworth, GA roof with high-quality hickory asphalt roofing system that complemented the beige brick facade. This Acworth, GA home has dark brown cedar siding and sits on a fairly wooded lot. Working with the homeowners, we decided to replace their roof with these Owens Corning 3-tab shingles in Chateau Green to complement the dark brown, rustic feel of their home. 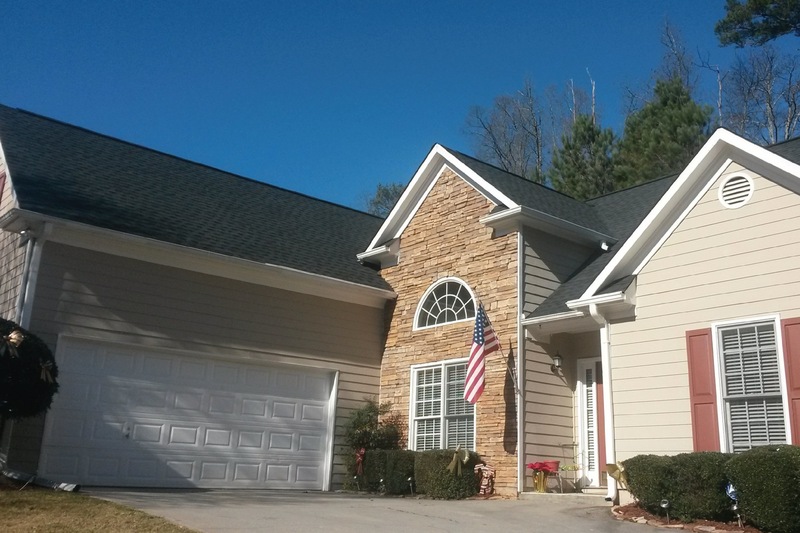 Completely replaced this Acworth home’s roofing system with a GAF 3-Tab Shingle roof. These shingles are asphalt-based just like architectural shingles and provide superior protection. It was important to these homeowners that we use a texture-rich shingle on this Acworth home. 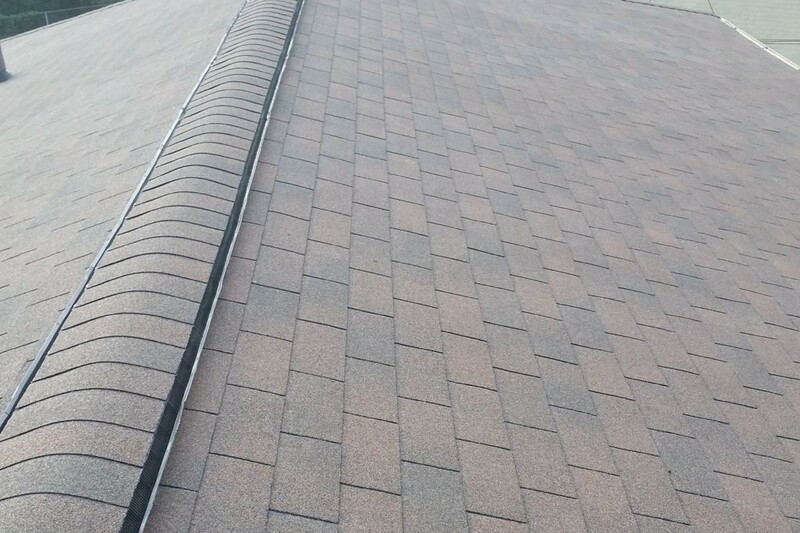 Our roofing professionals chose a charcoal Architectural shingle, paying close attention to the step flashing where the roof meets the brick façade. Staying within their budget was important to the owners of this Woodstock, GA home. That’s why we decided to go with these beautiful GAF autumn brown three-tab shingles that are both affordable and reliable. 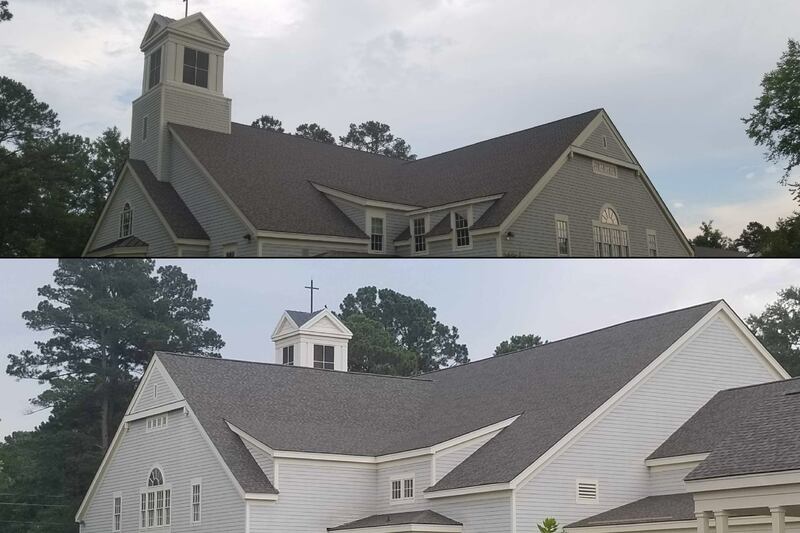 We were honored to complete this roofing system replacement for the Church at Sandhurst Congregation so they can gather in the peace of mind that their place of worship is protected from the elements. We worked closely with this Alpharetta, GA homeowner’s association to give their clubhouse, leasing office, and mail center a facelift. These architectural shingles provide superior protection and add visual interest to the neighborhood. We work with metal roofs on both commercial and residential properties to stop leaks and prolong the life of the roof. 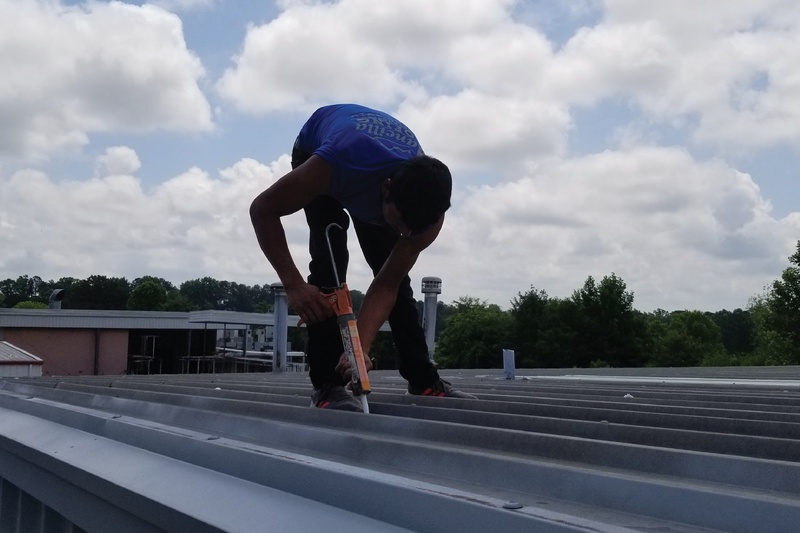 Pictured: One of our metal roofing experts uses caulk to seal metal roof panel fasteners on a Acworth, GA commercial roof. 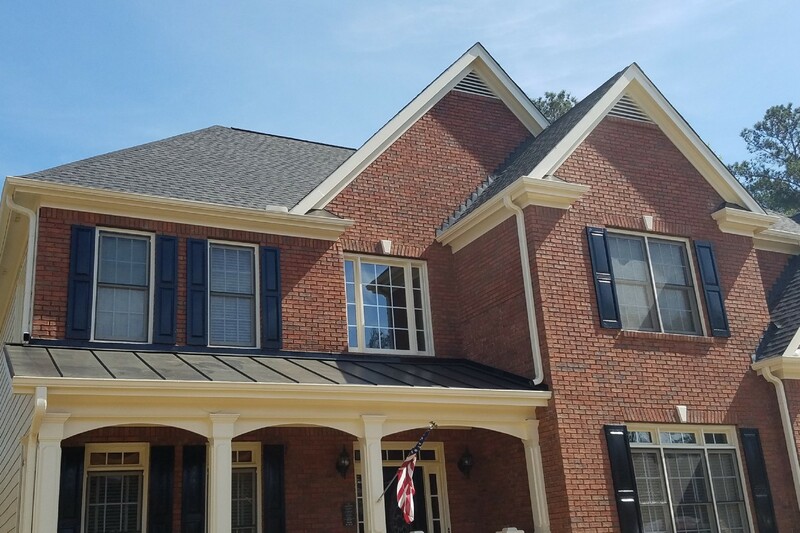 This is another example of a hip roof on a home in Marietta, GA. Our crews installed ridge vents, re-flashed the brick chimney with aluminum step flashing and painted it to match the shingles for a seamless, finished look. We also replaced the old dome skylights with new sleek skylights that are more energy efficient. 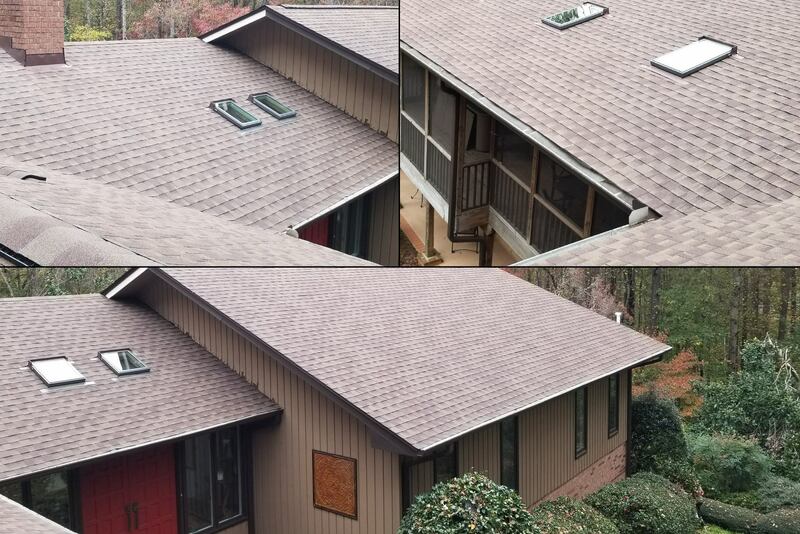 We replaced 5 skylights on this Powder Springs home with new Velux fixed skylights. We re-flashed the walls and chimney. These GAF Timberline HD Barkwood shingles look lovely in this wooded setting and don’t distract from the property’s natural beauty. Residential Roof Replacement in Woodstock GA. 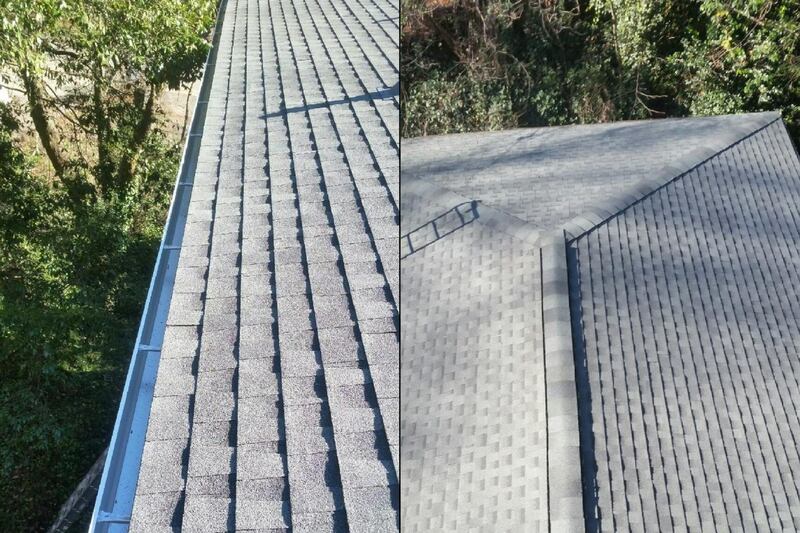 These homeowners wanted a sleek new roof without breaking the bank. 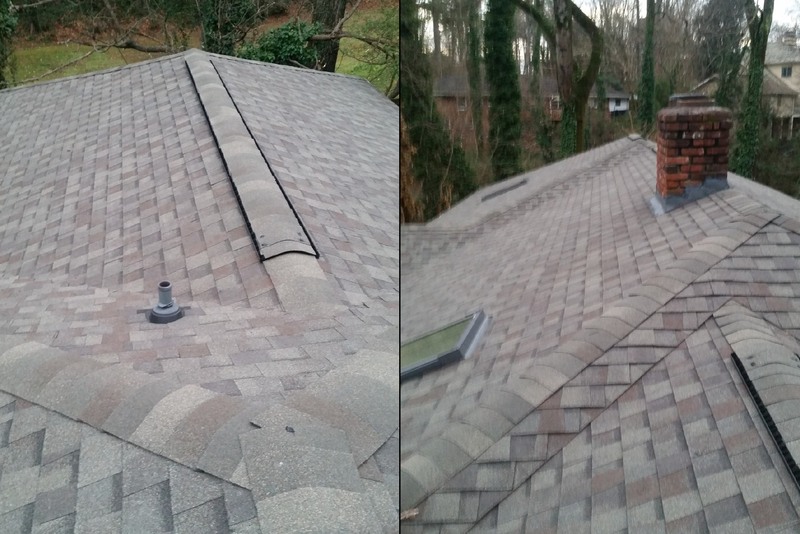 That’s why we installed a 3-tab shingle roofing system to this Woodstock, GA home. 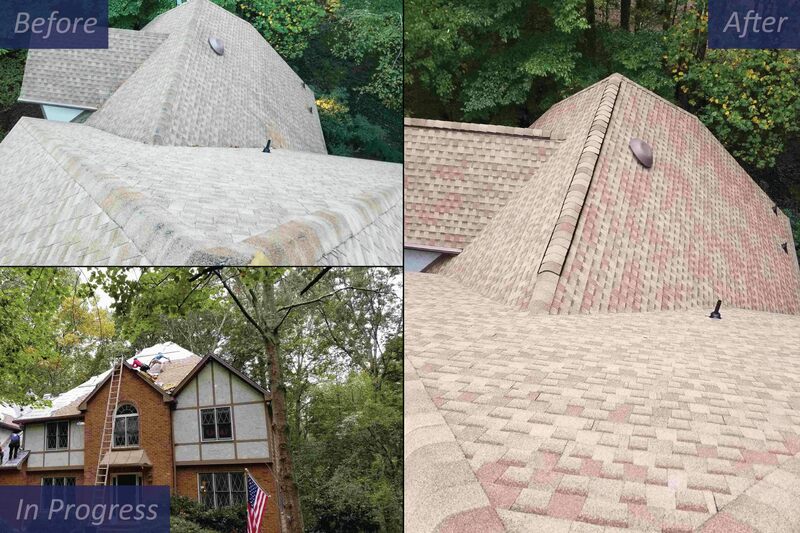 The owners of this Marietta, GA home wanted their new roofing system to stand out. We used Architectural shingles in Slate to add visual interest to this roofline and the results couldn’t have been better. Here again we have a hip roof on a home in Atlanta that needed a fully roofing system replacement. Since there isn’t a lot of tree cover, we went with a lighter Slate GAF shingle to keep temperatures down. Mancilla Roofing & Construction updated this Marietta, GA home with a GAF Timberline HD Shakewood shingle roof replacement. 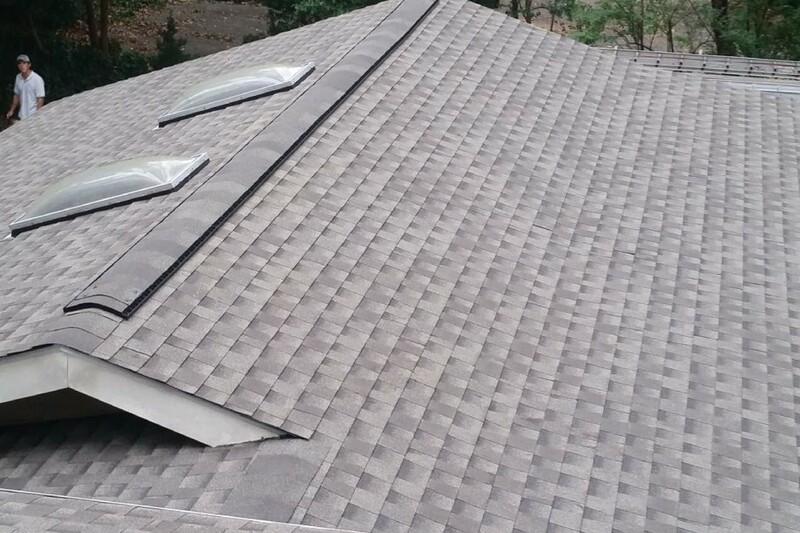 Our GAF Roofing Systems come with a Ltd. 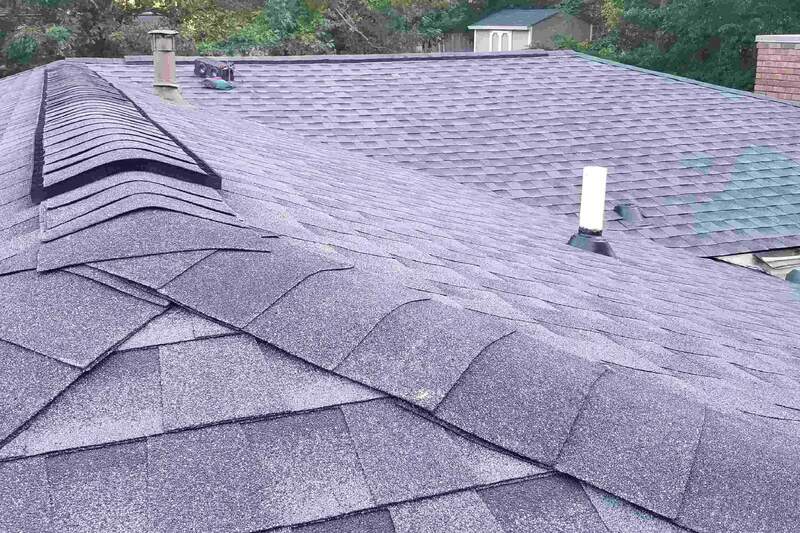 Lifetime Warranty, keeping your home protected from the elements and extending the life of your roof. 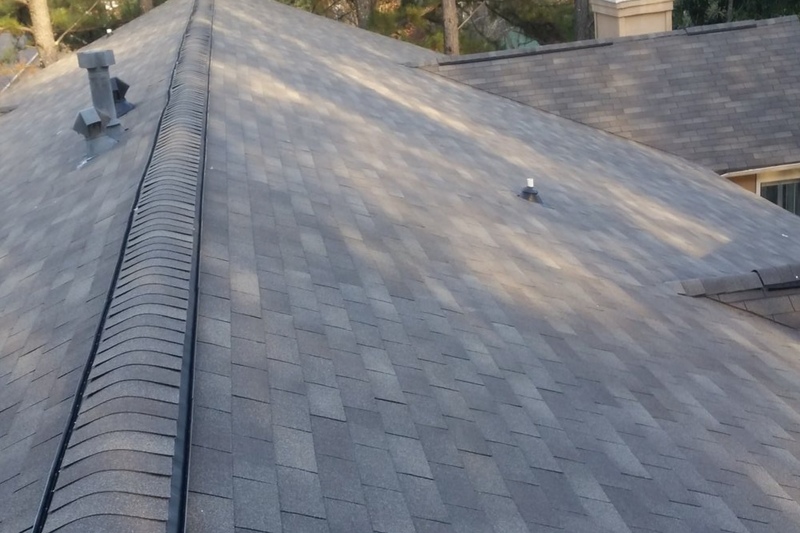 Residential Roof Replacement in Kennesaw, GA. 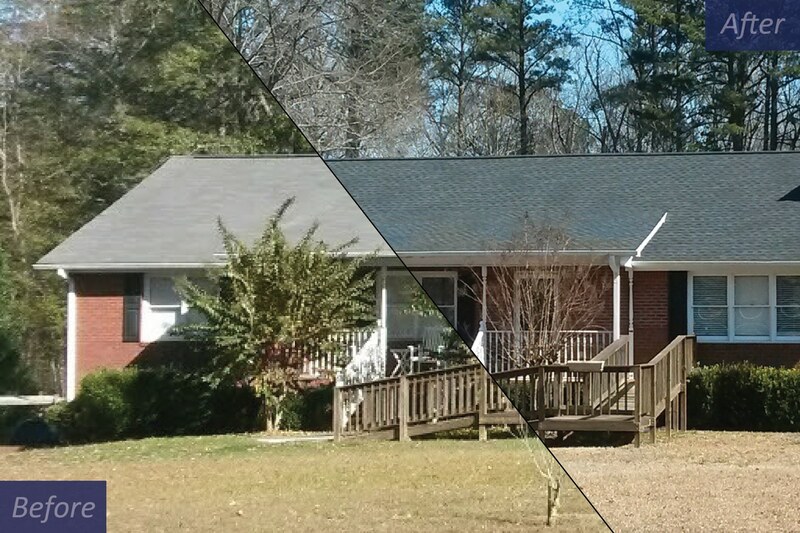 This Kennesaw, GA hip roof was replaced with charcoal architectural shingles in order to add more visual depth and withstand the difficult North Georgia weather patterns. 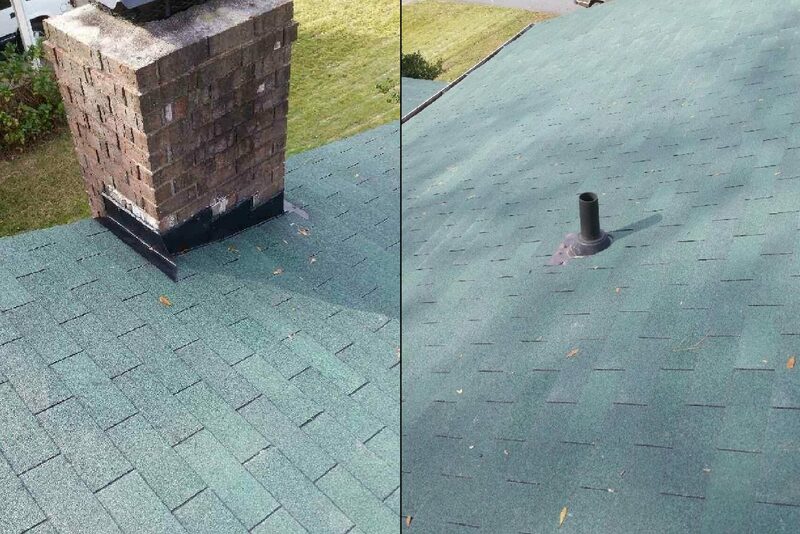 We also replaced the old turtle back vents with cleaner-looking ridge vents that provide better ventilation to the home's attic.